Before 1850, Wesleyan Methodism was broadly hostile to teetotalism. Its leaders criticised teetotalism as the substitution of a basically secular and ethical crusade for reliance upon religious faith and divine grace. They argued, not unjustly, that teetotal advocacy could have a potentially divisive effect upon societies, as zealous abstainers demanded the exclusion of Methodist liquor dealers. 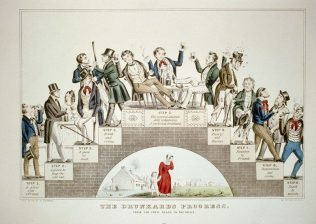 Finally, they noted with alarm the association of temperance with political radicalism, particularly at the height of teetotal Chartism in the years 1840-41. This opposition culminated in the 1841 Wesleyan Methodist Conference decisions to prohibit teetotal meetings on chapel premises, and the use of unfermented wine instead of port wine at Communion. 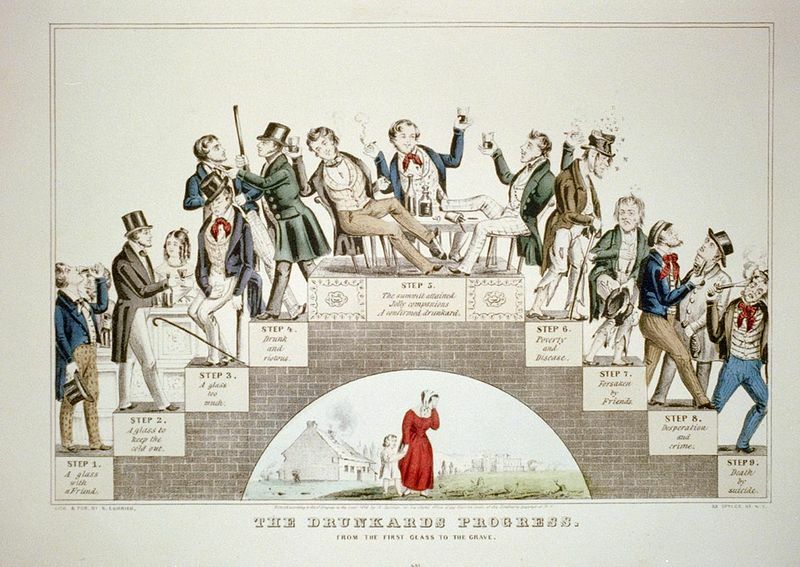 In contrast, the Primitive Methodist Conference was recommending temperance societies as early as 1832, and in 1841 ordered the use of unfermented wine at communion. Their stern morality and democratic organisation appealed powerfully to radical abstainers. Support for teetotalism was more apparent in the smaller sects, notably the Primitive Methodists, Warrenites and Bible Christians, who made greater concessions to local and lay autonomy. Not all Methodists agreed with the official view. The biggest secession from Wesleyanism over the temperance question was in the St Ives circuit in 1841-2, when 600 Cornish Wesleyans formed ‘The Teetotal Wesleyan Methodists’. Independent Teetotal Methodist societies were also formed at Bingham, Nottinghamshire, and Willenhall, Staffordshire, both about 1843. In December 1845, Edward Emery, a Primitive Methodist local preacher at Portobello, near Willenhall, joined the independent teetotal society, and a preaching room was established at Portobello, perhaps through Emery’s influence. By December, Edward Emery had been readmitted to the PM Society and circuit plan, although he was cautioned ‘on the subject of Total Abstinence’. He was accompanied by about 40 secessionists, including their leader, Edward Millard, who became a class leader and local preacher among the Primitives. Some Wesleyan abstainers managed to cope with criticism of their teetotal views within the chapel, although they faced the problem of whether to partake of fermented wine at the sacrament, or to pass the cup on untested. For those unwilling to compromise their consciences, Primitive Methodism could provide an attractive alternative. This has been adapted from an article on ‘The Willenhall Teetotal Methodists’, by John J Rowley, in the Bulletin of the West Midlands Branch of the Wesley Historical Society, typescript, no date. A copy is available at Englesea Brook Museum. The issue of teetotalism gave rise to as split in the Wesleyan society in Andover, and I believe (though I have no documentation) also in Winterslow. It is a tragedy that our forebears in the faith could not bring themselves to allow each other the Christian liberty of walking before God, each according to his or her own conscience. As regards fermented wine at the Lord’s Table, I have been to two Anglican churches in England where those with medical or conscientious reasons for not taking the fermented wine of communion were offered a separate but simultaneous row of communicants to the front, and there seemed to be no discord over the matter.